Many understand the laws regarding headlights at night… but many forget other situations where headlights are equally important in regards to driving safely and operating with other drivers. Thankfully, we’re going to cover situations where headlights and wipers are needed to prevent accidents and miscommunication with other drivers beyond driving late in the evening. With this being said, here’s a look at events where headlights and wipers are needed to remain safe on the road. The windshield wipers must hold tension against the glass to perform the full range of motion needed to clear a windshield. The windshield wipers must have at least two speeds to perform the task of clearing a windshield. Cars must have a working windshield washing system. To remain safe on the road and avoid fines, make sure your tail lights, brake lights, and headlights are all in working order. The reason for this is mainly due to traffic communication, as broken lights can easily lead to crashes, disorienting pedestrians/drivers, or cause a driver to misunderstand a car’s contextual space. In addition to being means of communication to other drivers, driving without lights in the evening can be very difficult (as it is considerably dangerous to do so). It should also be mentioned that a vehicle must have two amber front turn lamps, two red stop lamps, two red tail lamps, and two white front head lamps to be legally operable on the road. 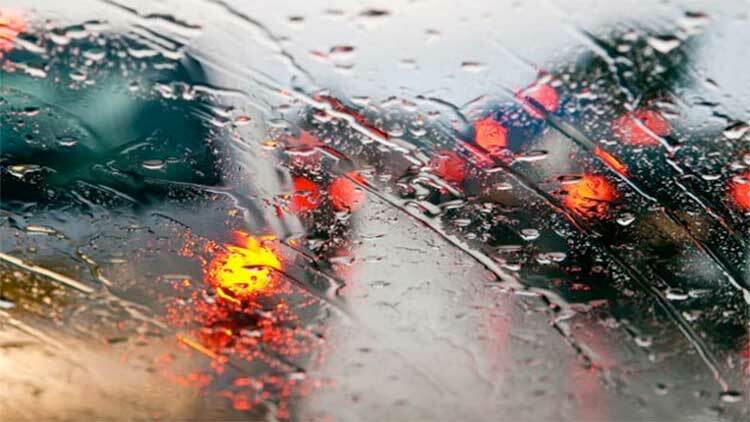 Inclement weather can definitely make roads less safe, which poses a threat no matter how experienced the driver may be. As a result, many states have passed laws that make headlight and wiper usage mandatory during times of inclement or dangerous weather. Since many of these laws were in response to accidents occurring during such times, they were created to keep drivers safe and considerate in regards to other drivers on the road. For example, some states require headlight usage if the visibility decreases to 500 feet, meaning that headlight usage is applicable to fog as it is to rain, sleet, and snow. The penalties can range from small fines to a suspension of a driver’s license (in severe cases). Conjunction laws are much like (if not the same) as inclement weather laws. Conjunction laws apply when headlights and windshield wipers must be used at the same time. For example, a vehicle’s headlights must be turned on when the vehicle’s windshield wipers are in use. So now that you have a general idea of when your wiper or headlight use is important, it’s time to hone your response according to the state you live in. Since many state laws vary in regards to headlight and wiper laws, checking DrivingLaws.AAA.com can clear up any questions you have regarding the topic. So in consideration of the information above, it’s safe to say that wipers and headlights are useful beyond the rain or nightfall. Applying and enrolling in a defensive driving course will help you become more considerate towards other drivers on the road… which is in addition to being in good standing in regards to your driving record. Between the humorous insight and information it provides to the driver, it’s likely that you’ll have no issues with the law in regards to your headlights and wipers in the future.